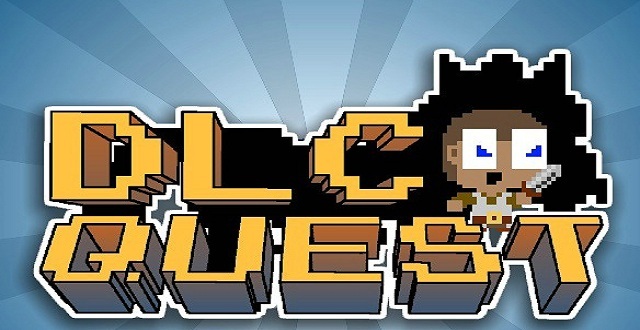 DLC Quest was developed by Going Loud Studios. It was released November 2, 2011 retails for 80 MSP. A copy of the game was provided for retail purposes. DLC Quest is a hilarious parody that completely lampoons the entire DLC concept. It contains a great deal of referential humor that goes all the way back to possibly the most infamous DLC: the horse armor. 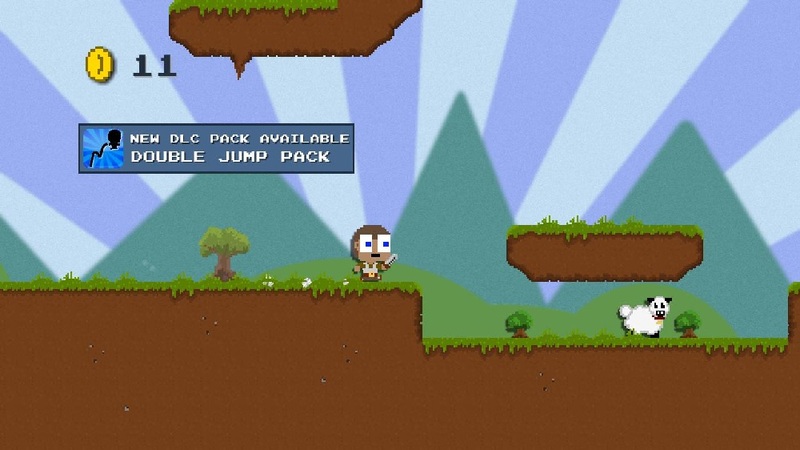 The backbone of the game is platform exploration that allows you to collect coins, meet NPC’s, and find secret passages. It is the collection of coins that allows you to buy the in game DLC packs that cause the game to progress.